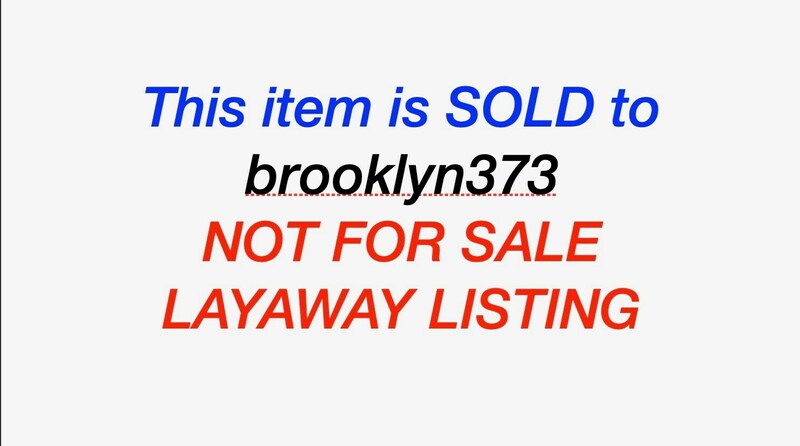 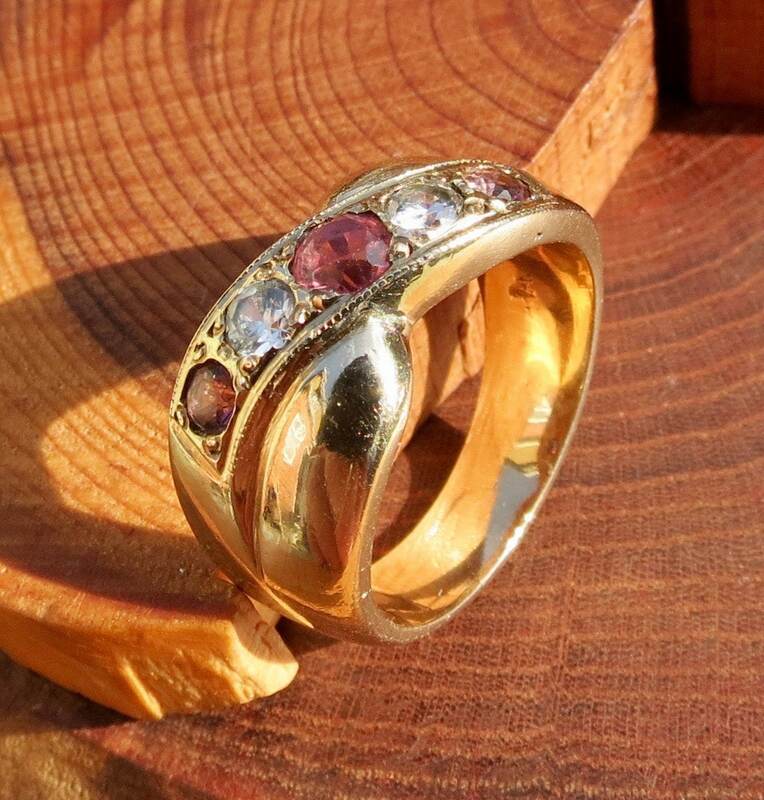 SOLD to brooklyn373 Layaway 3 9K yellow gold ring, with pink stones and white topaz. 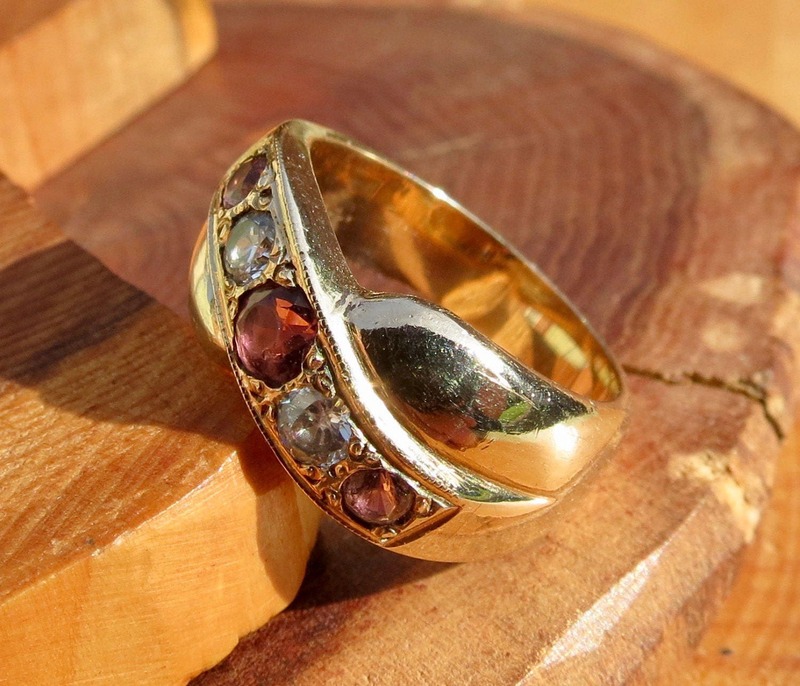 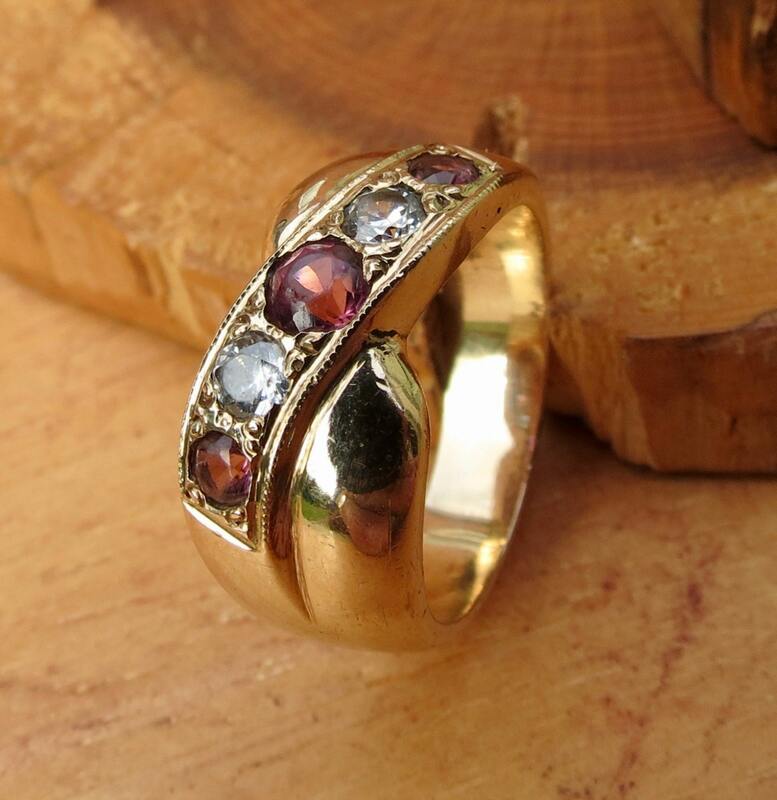 This vintage 9K yellow gold ring has alternating white and pink round cut topaz in a turned grain/bead setting. 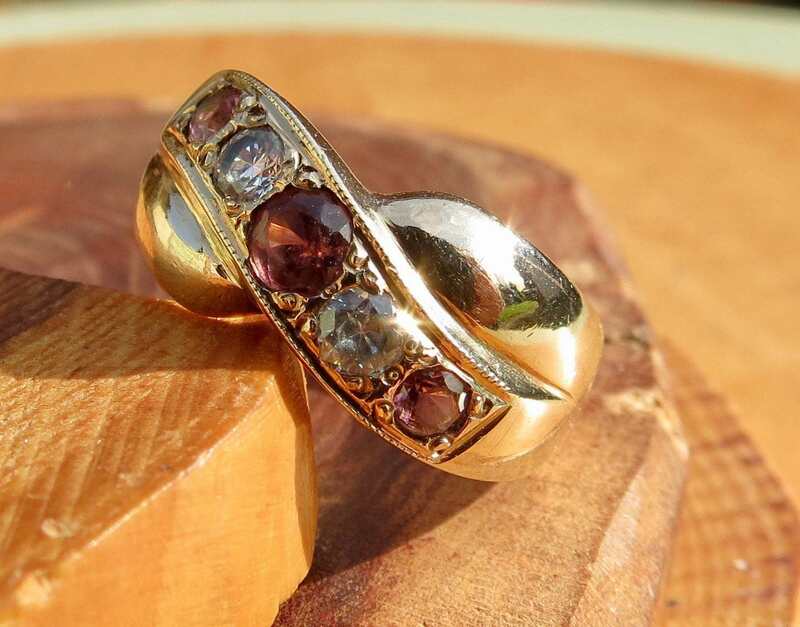 The pink topaz displays colours from brownish red through to pink in varying light conditions and works well with the white topaz. 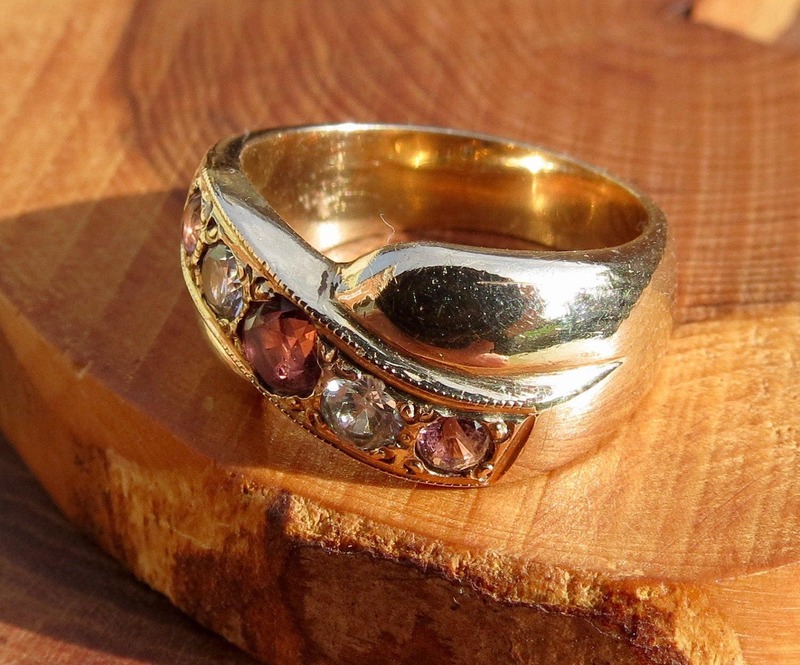 Quite a heavy gold ring at just under 1/4 oz of 9K yellow gold.